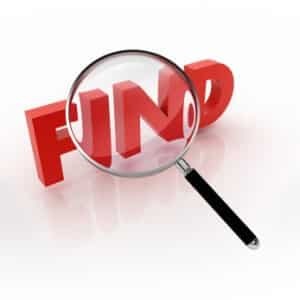 If you’re like us, you haven’t yet mastered the art of finding the best inventory of animals that you know will fit what your customers are looking for. You’ve probably tried using PetFinder to find them, and then track back to the source rescue or shelter, only to find out that it’s difficult to establish a relationship in a short time and the animal gets adopted before you get a chance to fill out the paperwork. This process can be very time consuming and frustrating for sure. While not perfect just yet, there are a couple of options out there for finding partner organizations and enabling your sourcing efforts with technology that you should look into. The Doobert.com platform has a tool called Rescue Connection that allows approved organizations (rescues, shelters, and even other groups like friends of or transport groups) to search for other organizations and view the list of animals they are willing to send or take in. The interface is easy to use and allows you to display either in a grid or on a google map. You can see the animals the other organization is willing to send. An an added benefit is that Doobert.com does rescue relay transport so after you find that perfect animal you can have them transported to your organization. 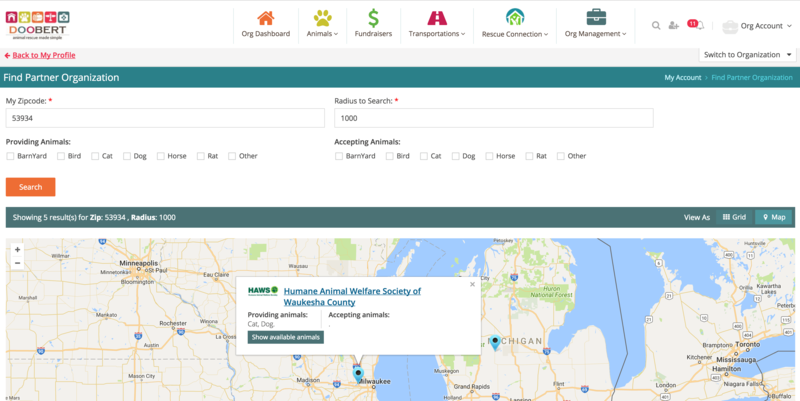 Pros: Easy to use interface; filtering on type of animals; view animals org is willing to send; professionally built Cons: Not widely adopted yet by shelters and rescues for loading available animals.